There are many immensely talented artists out there who go to great lengths to make their paintings look as realistic as possible, mimicking the nuances of three-dimensional form, texture and lighting. 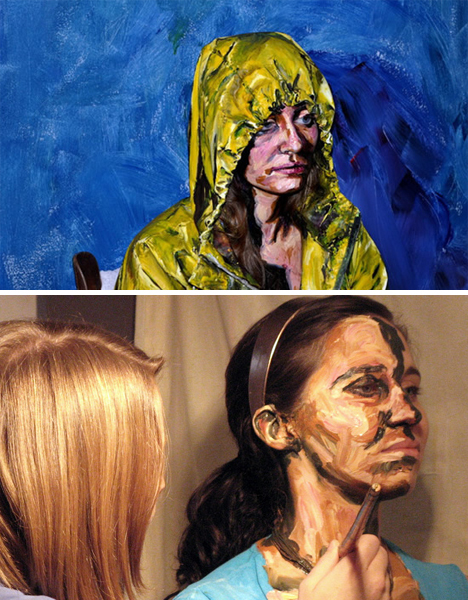 But it’s rare that the opposite is true – wherein an artist seeks to make reality look like a painting. 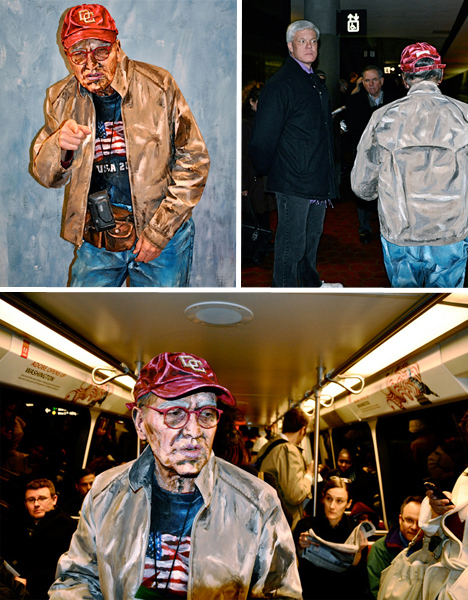 Meet Alexa Meade, who paints subjects not on canvas but right on top of themselves. 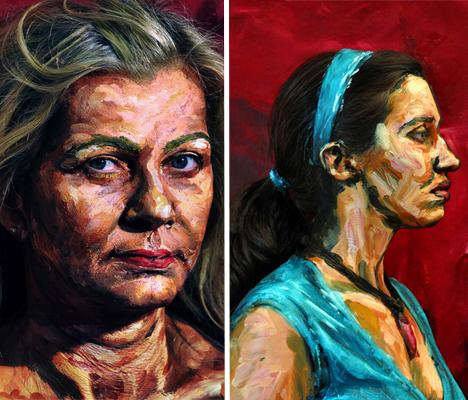 Meade’s thick acrylic brushstrokes turn living subjects into exaggerated, flat, painterly versions of themselves that are so accurately rendered two-dimensional, it’s difficult to tell immediately that there’s a real person under all that pigment. 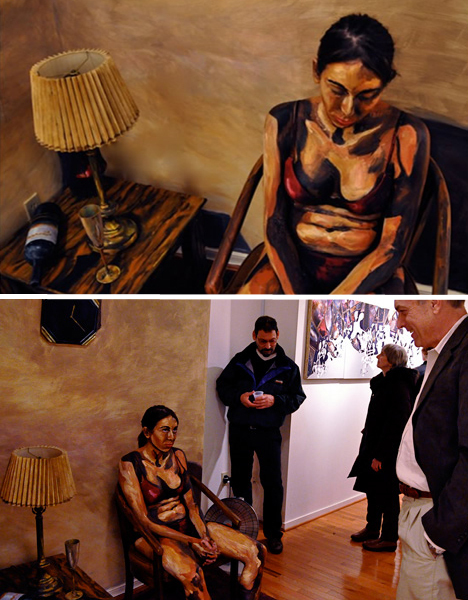 When the subject’s environment is painted as well, the effect is so complete that onlookers are stunned when what looks like some kind of painted sculpture suddenly moves and breathes. “My painting technique pushes the boundaries of perception, compressing 3D space into a 2D plane and effectively blurring the lines between art and life,” Meade told Juxtapoz in a recent interview.